1979 was a significant year for the Muslim world. Not only the Iranian revolution had unfolded but USSR had also marched into Afghanistan, marking the start of a nine year conflict. However, the most significant event of 1979 that still influences and shapes the world today was neither one of these. It is unfortunately one of the most overlooked events in history. It is the event that laid the foundation to many of the conflicts and acts of terrorism that are witnessed today. This event was the siege of Mecca. 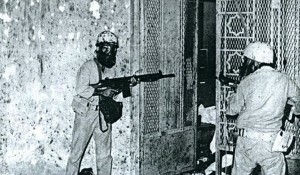 On November 20th 1979, the grand mosque in Mecca (Masjid Al- Haram) was taken over by a large group of highly trained gunmen. Due to inconceivable nature of the incident, the Saudi government was caught out cold , unprepared. What ensued was utter chaos. 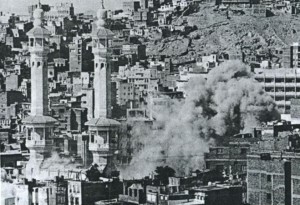 The siege was eventually broken after scores of death in the precinct of the sacred mosque. For the first time in 1400 year history of Muslim community (Ummah) the congregational prayers in Grand mosque seized. In addition to the hundreds that were lost, there was a more hefty price paid for freeing up the grand mosque. Surprisingly, this cost is still being paid today in the form of ISIS. On the day that marked 1400 Hijri years of Islamic calendar, a Saudi man Juhayman al Otaybi along with his brother-in-law (Mohammad Abdullah Al Qahtani) and several trained personal captured the sacred mosque and managed to hold hostage hundreds of attendees. The mosque loudspeaker was used by Juhayman to deliver a sermon. He asked the attendees/pilgrims to pledge allegiance and prepare themselves for a new era. Just as a few managed to flee, the exits were closed and bolted from the inside. These doors were then guarded by excellent marksmen, deployed on the minarets. It is said that Juhayman’s militia that captured the mosque included over 400 men. Juhayman and his group were a product of the same ideology that has motivated Al –Qaeda, ISIS and Boko Haram. The Saudi government at that time was reaping the harvest of black gold. Their excesses were well known. The Saudi society over the course of 10 years (1969-1979) had transformed dramatically. Roads were being laid out, tall buildings being built. Television, radio and telephones had altered lifestyles. Football had captivated the imagination and become the favourite pastime of the youth. Women who had been traditionally side-lined from the mainstream suddenly found greater roles, jobs and varied activities. 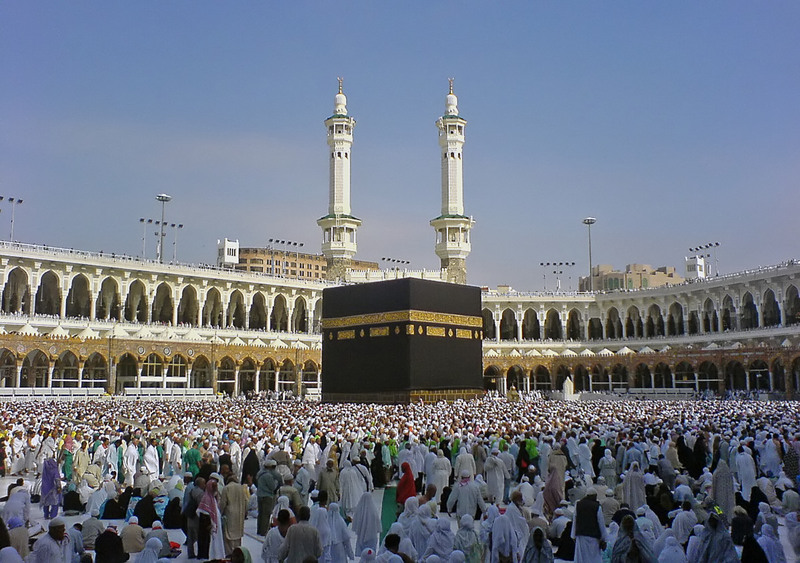 Furthermore, the influx of westerners, particularly Americans, was not only increasing their footprint in Saudi culture but also in the affairs of the government. Oil was the reason that had twinned Texas with Ghawar. This all was too much for Juhayman who had left the Saudi Arabian National Guard to become a student at Islamic University in Medina. He viewed this rapid transfomation of the society as an act of the “Great Satan” (USA) trying to take over the holy land. Juhayman’s religious education was of a strand that was puritanical and loathed change. The religious clergy in Saudi Arabia was also frustrated about this blitzkrieg evolution and voiced their opinions vehemently. In Saudi Arabia, the religious clergy and ruling monarch has always had a marriage of inconvenience. This acrimonious relationship was borne out of the lust for throne for one party and the need for a mainstream platform for the other. Historically, because of the hard line nature of the clergy (that practiced Wahabism), it remained on the fringes and never gained popular support until it was patronized by the house of Saud. The origins and the initial spread of Wahabism is surrounded by extreme controversy because hidden within its heart was a radical idea. The idea of “takfeer”, that gave license to a Muslim to kill another Muslim by declaring him apostate on any basis of disagreement. It created a dichotomous paradigm on the principle “either with us or against us”. For certain hardened Bedouin, this binary vision had a certain appeal. The house of Saud, using the Wahabi clergy, the ideology of takfeer and the aid of British were able to motivate the Arabs to rise against the Turks post first world war. The Picot-Sykes agreement followed, the caliphate was dissolved and Saudi Arabia came into existence. The Saud family have been able to enjoy a religious sanctity through an agreement with the religious leaders . The clergy recognized that it was only possible for Wahabism to emerge from an oasis in Najd (mid east region) and flourish to finally occupy almost all the peninsula (including Hijaz) through the help of the Sauds. Therefore the house of Saud enjoyed certain concessions from the religious law that were otherwise binding on every other citizen. If there was ever dissent amongst the clergy, than it was promptly crushed by the Sauds. 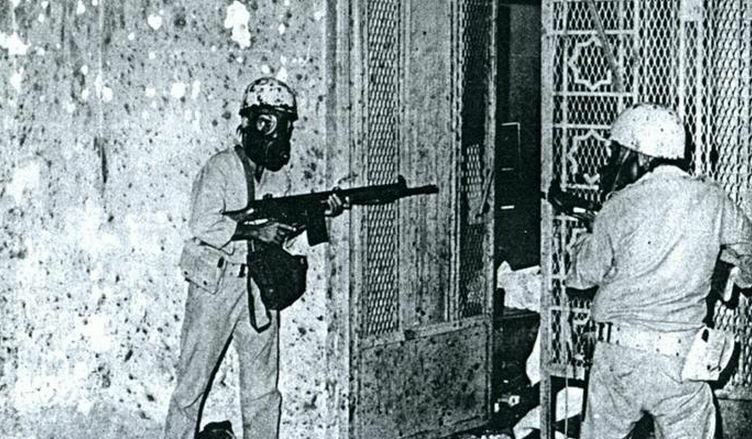 In the early part of the 20th century, the might of British forces was used by the Sauds to quash rebellion. At present, the house of Saud is protected by the CIA. The change of guards came after the Second World War, when Britain was no more the top dog in world politics. Furthermore, USA’s dependence on foreign oil and in particular Saudi Arabian oil, necessitates that the house remains in order. The Otaybi clan of Najd was mostly enrolled in the Ikhwan, a force that once fought for king Abdul Aziz and later rose against him. 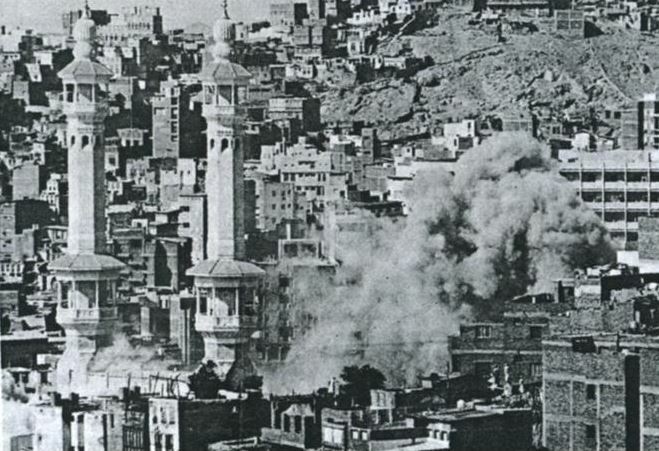 It was crushed by the Sauds through their western allies. Juhayman had grown up aware of this event, afterall he was himself an Otaybi. With a religious clergy that is unhappy and carries a rebellion prone ideology, chances are strong that every now and then a radicalized individual indoctrinated by them would slip through the net. One such individual the world knows much about was Osama bin Laden. But he was not the first, he was preceded by Juhayman. And every slip wreaks havoc. For Juhayman, the house of Saud and all that were affiliated including the people working for state institutions, the security and police force were apostates. Overtime he convinced, motivated and trained hundreds of men to join his cause in bringing just rule over the holy land. And maybe to settle another score as he named the group Ikhwan. Despite being on the radar of Saudi authorities, Juhayman managed to evade them through the flaws in the centralized and autocratic system. He was convinced that his brother-in-law was the Mahdi (the prophesized reformer). And for him the time had come to announce the arrival of the Mahdi to the Ummah. At dawn of 1st Muharram, start of the 1400 year in Islamic Hijri calender, just after the morning prayers had concluded the he took over the sacred precinct. There were still serval hundred pilgrims in the mosque that had overstayed after Hajj. The timing was not arbitrary, Juhayman was convinced through his interpretation of the historical texts that the time had arrived for God to reveal the Mahdi. The world was steeped in corruption and battle of good and evil had to begin. To stamp their authority, Juhayman’s followers showed no hesitancy in drawing the first blood in the holiest of the places. The guards at the doors were among the first casualties. The siege lasted for two weeks. When Saudi military force was asked to retake the Kaaba, they were not only demoralized (because of huge casualties suffered by the police) but also scared of any wrong doing on religious grounds. 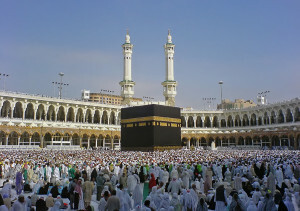 After all it was forbidden to spill blood in the sacred mosque. At this point, the religious leaders in Saudi Arabia were in a state of deliberation. Although they were certain that the rumoured Mahdi is not the prophesized one, but at the same time were uneasy with Saudi monarch and their race to modernity. Juhayman’s demands (a charter of six points) resonated with them, after all he was one of their own student. The problem was that without the backing of religious heads their was reluctance in the military ranks to charge and retake the grand mosque. Eventually the religious clergy was summoned by the monarch and an agreement was brokered. A fatwa (religious ruling) was issued. This agreement allowed the forces to engage with the assurance that the will of God was behind them, but in return the Saudi government had negotiated a hard compromise. They were asked to roll back their march towards modernity and more importantly were asked to spread the ideals of Juhayman (creed of Wahabism) across the world. Wahabism since than has been actively pedalled across the world through funding galore. The off-chute of this ideology is Neo-Wahabism which rationalizes the most heinous crimes in pursuance of it goals. It is neo-Wahabism that has become the religion of many terrorist units of the present times. In freeing up the mosque, over a 120 soldiers died. Several hundred of the Ikhwan were also killed. In the final days, Juhayman and his men besieged themselves in the tunnels (qaboo) underneath the mosque. The French military were asked to assist and they provided a special tear gas that sedated the captors. 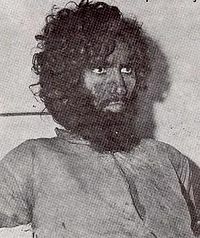 The qaboo was raided, Juhayman was captured and received capital punishment. The alleged Mahdi, Mohammad Ahmad Al Qahtani had died earlier, while trying to re-throw a live grenade. To the embarrassment of Saudi government-who had chosen to present themselves to the Muslim world as the custodians of the Kaaba- it the was unknown who the perpetrator was several days into the incident. In panic, they opted for a communication black out to stop the spread of rumours. This resulted in even more chaos. All around the world news had leaked of siege of the mosque but it was open to speculation who was behind it. In Pakistan, the US embassy was burned and so was in India and Bangladesh. The American embassy in Libya too was rampaged by a mob. While in other quarters it was thought that it may have been an annexure to Iranian revolution that was fresh and still unfolding. A well researched book by Yaroslav Trofimov has recorded the whole event in detail. 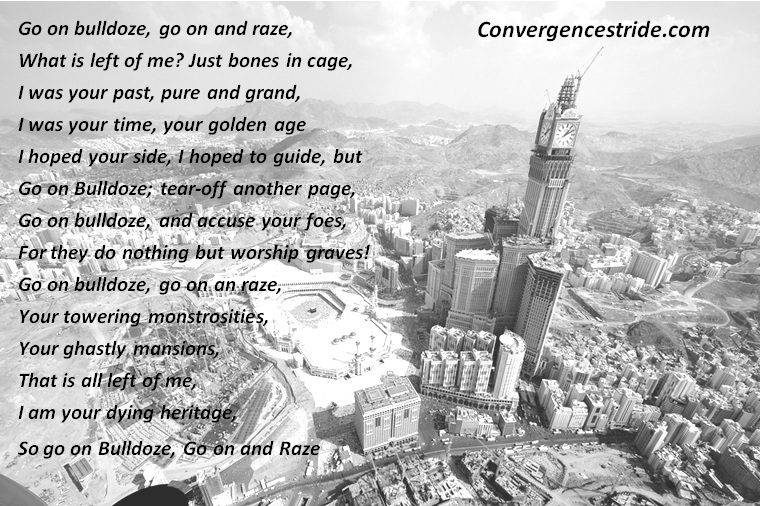 It is sad that many Muslims to this day are not aware of the siege of Mecca but can talk at length about 911. They don’t ponder over the blood that flowed in the most sacred precinct and how such an incident should be prevented in the future. This is partially due to the Saudi Arabia, who opted use a hush-up approach to save face. If lessons had been learnt from the incident, many others catastrophes, such as ISIS could have been averted. The Saudi government’s active promotion of Wahabi ideology across the world continues even today. Although countries like Pakistan have woken up to the bane of takfeer, but only after paying the price of over 50,000 casualties. Share and spread the word using the buttons below. Radical Islamist movements were and are perceived by Western intelligence services as being more effective in toppling the USSR in Afghanistan — and in combating out-of-favor Middle Eastern leaders and states. The factors you mentioned might be true, but they are not the precursor to 911 and ISIS. A very interesting topic. However, as I read through the author’s grasp of the history of the region, in particular during WWI, and his suggestion that the British sided with the House of al Saud during the War and thereafter executed the Sykes-Picot Ag, I becomes concerned. These assertions are inaccurate- as is the timing of the S-P Ag. The British sided with the Sheriff of Mecca and his son, Feisal. This became Hejaz. Hejaz was later (after the War) captured by the House of Saud and joined to Najd and this, even later, became Saudi Arabia. See “A Peace to End All Peace” for support. These are side points but would certainly cause one to question the author’s knowledge of the region and its history.